Print the page out and let the kids color the pictures first and then cut them out. Have them glue or tape down on colored construction paper. 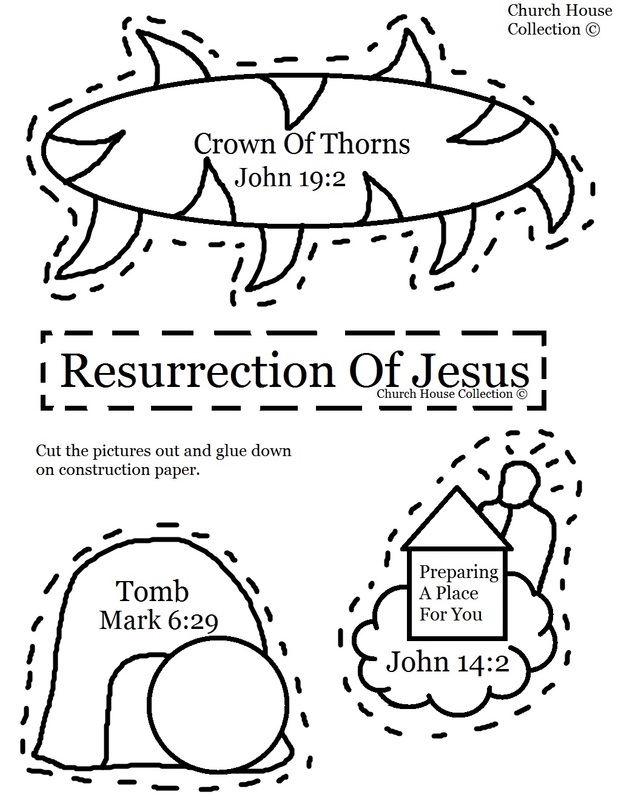 Teach the kids about the Resurrection of Jesus. 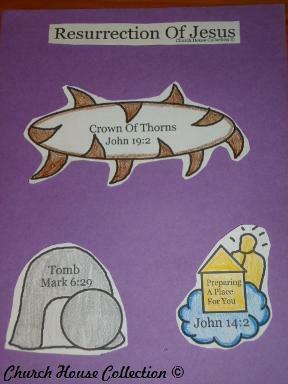 I added the scriptures on the pictures so you could read the scriptures for each picture to the kids. Tell them the entire story from the time of Jesus dying on the cross to being laid in the tomb and then going away to prepare a place in heaven.